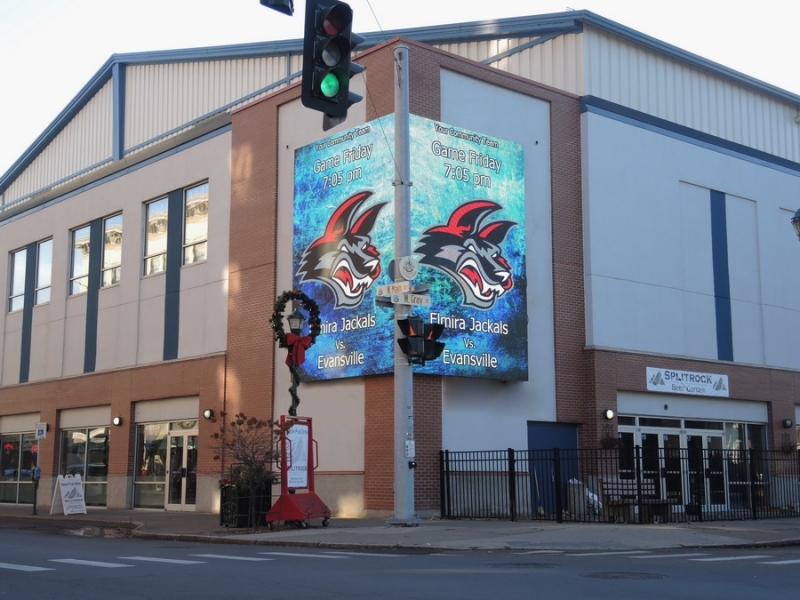 First Arena in Elmira, New York and home to the ECHL Jackals has amazed its visitors with major technology upgrades performed by GP smart stadiums partner, ColosseoEAS. 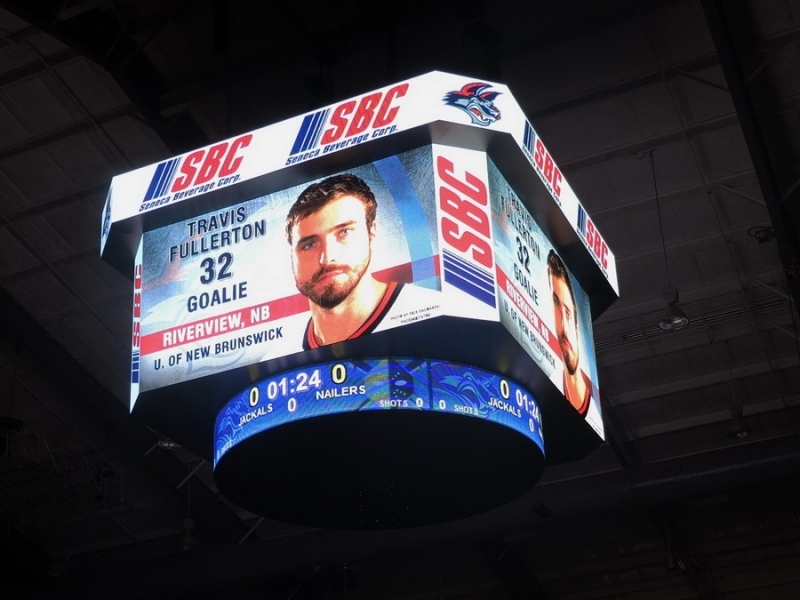 The center hung video board has been built with Colosseo’s latest technology and affirms their exceptional level of engineering. The ultra-light, fully aluminium structural support solution and precision, zero bezel, 360 LED wraparound technologies used in the Colosseo center hung video boards, deliver unmatched performance. These cutting-edge industry innovations are powered by the globally unrivalled, Colosseo Single Media Platform content delivery system, the only system capable of true and complete, seamless integration with all venue media. 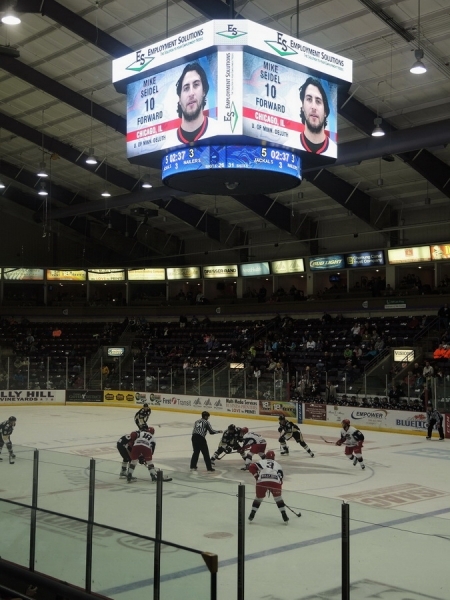 First Arena has become the first arena in the United States to install the Colosseo IPTV and smartphone platform, offering phenomenal levels of interactivity. 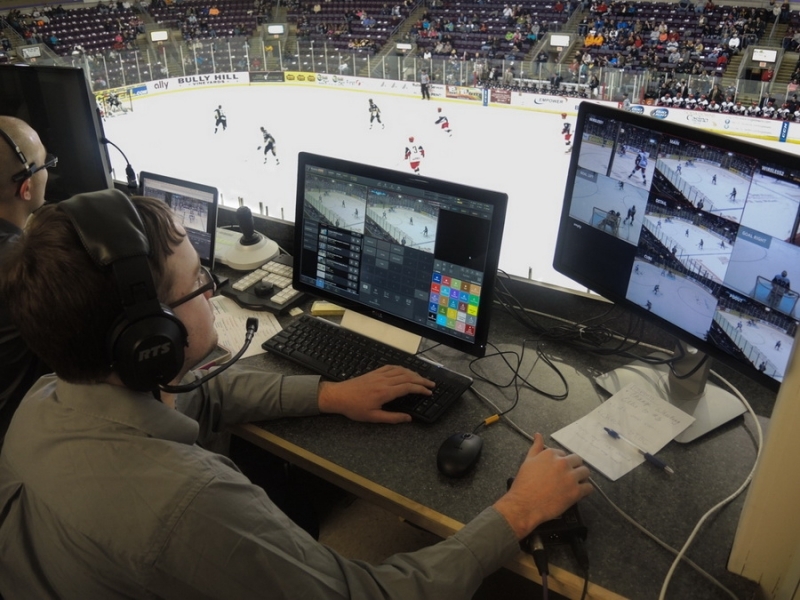 For fans, the possibility to choose instant replays from any camera in the stadium during live game action will significantly raise the bar for interactivity and infotainment expectations throughout sporting venues worldwide. Additionally, Colosseo’s corner-shaped outdoor LED plaza board will be fully integrated with indoor media through our Single Media Platform, enabling the Game Presentation Director to provide in-time infotainment and live content on any medium at any time, inside and out. Coming from GP Smart Stadium partner ColosseoEAS, the next level of media integration, interactivity and infotainment for stadiums and arenas worldwide has arrived!